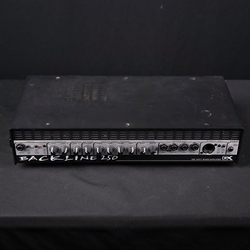 Used BXD15 is in good condition overall. Amp has been tested and is in good working condition. Amp shows some scuffs and scratches from use and exterior could be vacuumed up to remove debris.